The documentary film An Inconvenient Sequel: Truth to Power will be shown Thursday, Oct. 26, 11:00 a.m. to 1:00 p.m. in room 108 of the Sciences and Technology Building. The showing will be followed by a live 30-minute webcast with former Vice President Al Gore. 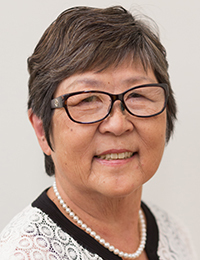 The event is made possible through a Title III Native Hawaiian Serving-Institutions Grant under UH Hilo Office of the Interim Chancellor, Hawai‘i Community College Office of the Chancellor, Kīpuka Native Hawaiian Student Center, and the UH Hilo Sustainability Committee. 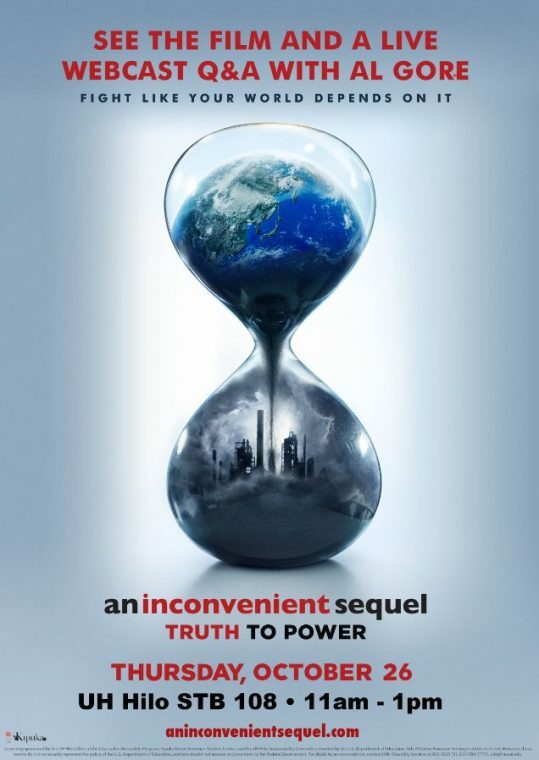 A decade after An Inconvenient Truth (2006) raised public awareness about the climate crisis, now comes the powerful follow-up that shows just how close we are to a real energy revolution. Former Vice President Al Gore continues his tireless fight, traveling around the world meeting with climate champions and influencing international climate policy as he pursue the inspirational idea that the perils of climate change can be overcome with human ingenuity and passion.